A new baggage tagging trial, which aims to improve the luggage reclaim system at Heathrow airport, is now fully underway. The pilot will be carried out for six months and if successful could be rolled out on a permanent basis to other air transport hubs across the UK. It serves as a replacement to the current barcode tracking system – replacing the technology with radio-frequency identification (RFID). 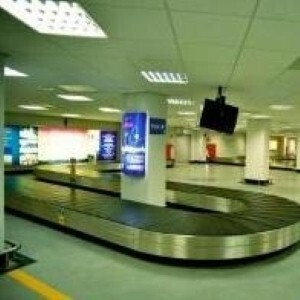 Costing £150,000, the new scheme will involve attaching RFID tags to luggage which will then track its progress. Passengers will be able to opt to receive text messages which will tell them exactly when they can expect their bags to arrive back at Heathrow. Currently, Emirates Airline is taking part in the scheme, with a similar trial set to be introduced in Dubai Airport soon. Stephen Challis, head of product development at Heathrow, said: "We are extremely excited by this project, which will track bags at every stage of their journey and could significantly improve the efficiency of Heathrow's baggage system, delivering an improved service to both passengers and airlines alike."